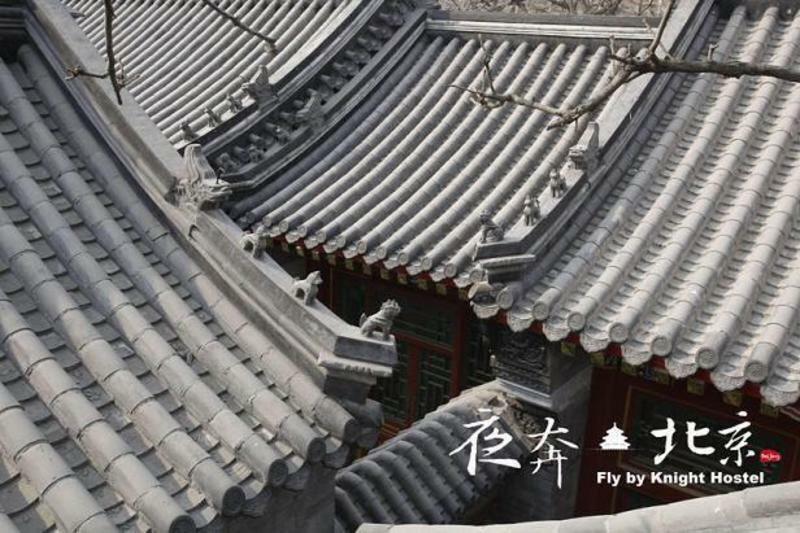 Fly by Knight Courtyard Hostel is a beautifully renovated, traditional Chinese courtyard house. We are located in the heart of Beijing City, with easy access to public transportation such as the subway (Dong si station) and many major city bus routes. We provide clean beds, clean bathrooms and clean common areas. 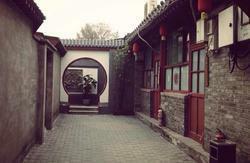 We are located in Hutong, one of the most famous government-preserved areas. The surrounding houses are all occupied by local Beijing residents. We understand how important it is to start your day with a good meal; therefore, our private room guests get a free set of western breakfast in the morning (bacon, sausage, hash browns, eggs and toast). 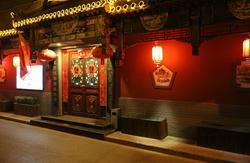 Every staff member is fully trained in helping travelers and they speak both fluent English and Chinese. 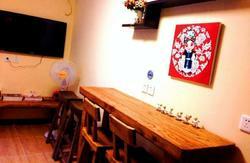 Our hostel was founded by a traveler whose passion for martial arts brought him to China to broaden his experience. If you have come to China to study martial arts and need assistance, let us know and we will be more than happy to help. We also provide practice areas and equipment. We respect all artists. If you are any type of artist, a martial artist, a painter, a singer, a performer, a poet, a writer, etc… let us know because we would love to exchange your talents for accommodation! This benefit applies to dorm users. Everyone here loves animals, so bring your pets dogs, cats, even polar bears (if you have the right license). Just make sure you email us first so we can make preparations for your little guy (or big guy). We also offer very low-priced international calls, but if you need to call your mommy, we will let you call for free. We know you must miss your mommy! We believe in travelling Eco-friendly. Please bring your own personal hygiene products such as tooth brushes. We don't provide any one-time-use products. We do offer market-priced products so, if purchased, please re-use them. Our hostel provides low prices, but not at any price. We don't offer unfair trade products or food. We pay our taxes and we monitor our quality. 请带我到北京市东城区东四南大街灯草胡同6号 or you can try to speak Chinese to the taxi driver: beijing shi dongcheng qu dong si nan da jie deng cao hutong liu hao, xiexie. Take the airport express train to Dongzhimen station (东直门), then change to subway line 2, go to Lama temple station(雍和宫站), switch to subway line 5 to Dongsi station (东四站), leave from exit C, turn left immediately after the exit, walk straight, you will see a sign of the intersection street '东四南大街/Dongsi south street; turn left on this street (south direction, as it will be pointed out by S). until you see Dengcao hutong (灯草胡同) on your left-hand side, enter the small street, keep walking to the end of this small street, you will find yourself in a T-intersection, turn left, you will see a public bathroom on your right hand side with a small parking area, walk into the parking area, you will see a big red door with the sign for Fly by Knight Hostel. *Please note, if you arrive in Beijing at late night, we suggest taking the taxi, as public transportation in Beijing may stop running after hours. The easiest way to reach the hostel is by taking Beijing Subway line 5 to DongSi Station(东四站). When you get off the subway, take 'exit C' turn left immediately after the exit, walk straight, you will see a sign of the intersection street '东四南大街/Dongsi south street; turn left on this street (south direction, as it will be pointed out by S). until you see Dengcao hutong (灯草胡同) on your left hand side, enter the small street, keep walking to the end of this small street, you will find yourself in a T-intersection, turn left, you will see a public bathroom on your right hand side with a small parking area, walk into the parking area, you will see a big red door with the sign for Fly by Knight Hostel.